There’s a questionable rumor going around that the tryptophan in turkey doesn’t actually make you sleepy. We have a hard time believing that ­– everyone knows the post-Thanksgiving torpor is real! Lucky for us, we’ve got people looking out for us! We’re going to fight that post-Thanksgiving sleepiness by getting out and moving our bodies. Here are four activities designed by our wonderful regional non-profits which will help combat the tryptophan (though – to be clear – we do recommend some good, old-fashioned lollygagging this weekend so don’t skimp on that). Sometimes I’m physically exhausted by how hard it is to stay hip and trendy. Is avocado toast still worthy of an Instagram? Why is everyone talking about “cold brew” and what happened to normal iced coffee? While these questions may plague me with uncertainty, one thing is for sure: yoga is still hot. 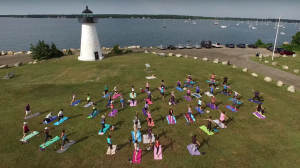 Luckily, the South Coast offers a plethora of yoga classes and we at South Coast Almanac have compiled a list of 6 favorites to keep our beloved readers at their trendiest this summer. 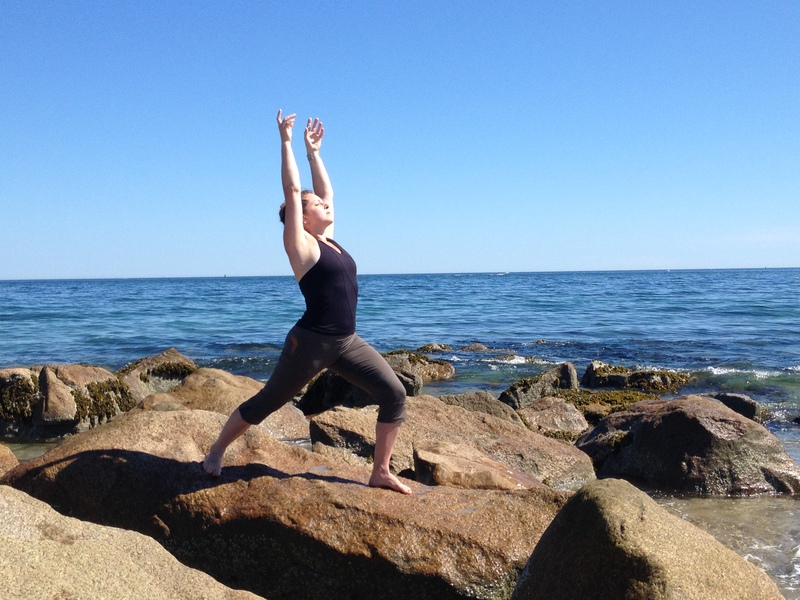 What: Morning yoga – An energizing and awakening morning yoga practice using breath, postures, and visualization. Connecting with the elements of earth and fire. Meet and greet the day. 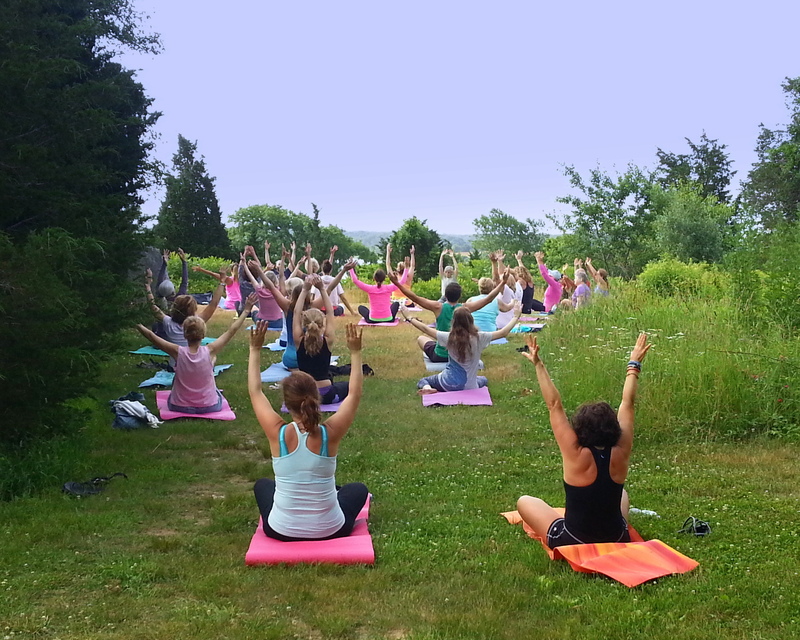 Evening yoga – Wind down, relax, and connect with your internal systems and external surroundings through gentle yoga postures, breath, and meditation. What: Hour long flow for all levels and ages. 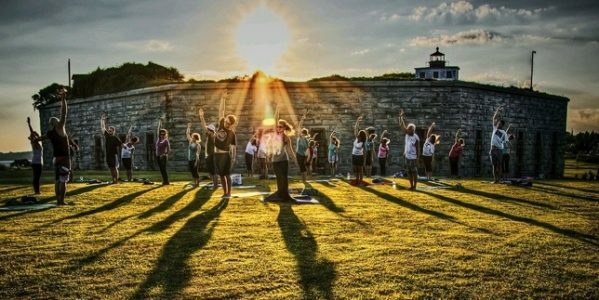 What: Hour long flow on the grassy fields next to Fort Taber as the sun sets with as many as 180 of your neighbors. What: An hour long flow, suitable for all ages and levels. Bring a mat, water, bug spray, and sunscreen. Blanket optional. What: Perfect for yoga beginners & intermediate students, this class offers moderate poses at a laid back pace to strengthen the body, calm the mind and heal the soul. 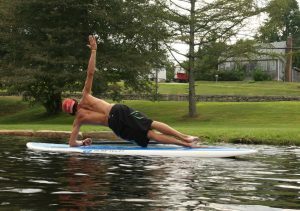 Intro to SUP or equivalent experience is a prerequisite for this program. No matter which class you choose, we’re sure it will bring you peace of mind. Besides you’ll get to enjoy our amazing South Coast while you are at it! And if you happen to post any pictures to your Instagram for ultimate hipness, make sure to tag us so that we can see you practicing yoga! 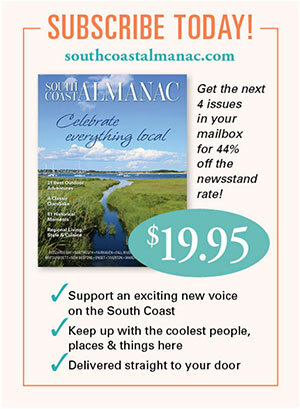 Want to keep up with South Coast Almanac? Sign up for our monthly email newsletter here. 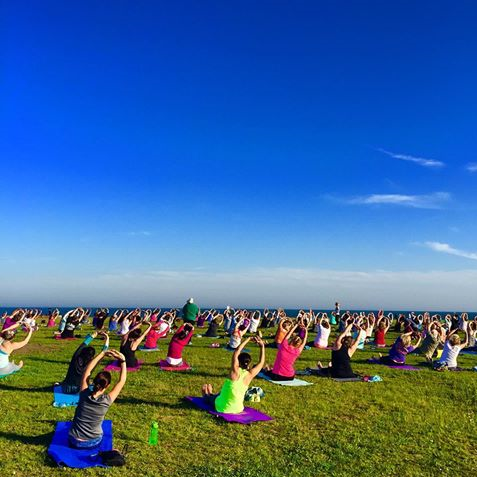 We’ve gotten an overwhelmingly positive response to this post and have discovered a couple more cool outdoor yoga events that you may want to check out! 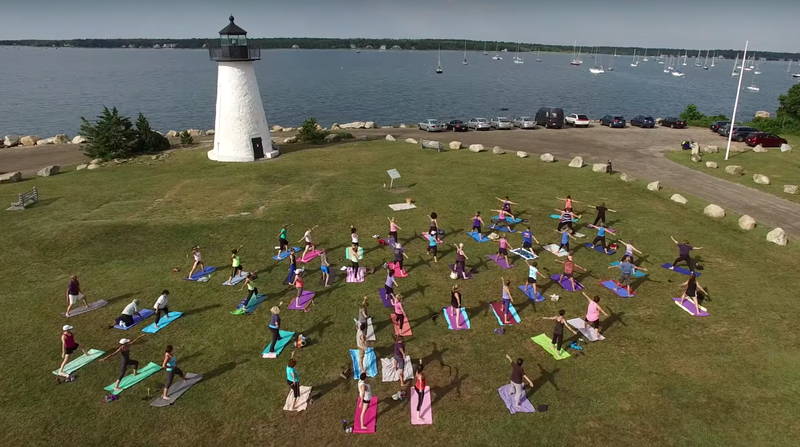 Fitness in Cushman Park, Fairhaven offers Tuesday morning yoga (and Thursday morning boot camp) at 8:30 a.m. free of charge thanks to a variety of local business sponsors. Through August 25. Westport Rivers Winery had their first yoga class/post-yoga wine tasting on July 23d. If you missed it and want to participate in another one (I know I do! ), let them know. The best way to find out more about either of these classes is to look on their Facebook pages.